Visitors to the Crater of Diamonds Park in Murfreesboro, Arkansas clearly have an objective in mind: Excavate one of the diamonds lurking on or beneath the park's soil, the onetime site of a volcanic crater. If they do, it's theirs to keep. Earlier this month, a 71-year-old grandmother from Colorado made the biggest discovery on park grounds of 2018: a 2.63-carat ice white diamond. And she did it in about 10 minutes. The retiree, who asked media outlets not to identify her by name, visited Crater of Diamonds with her husband, son, and grandchildren. After briefly scraping away dirt, she saw the gem on the surface. 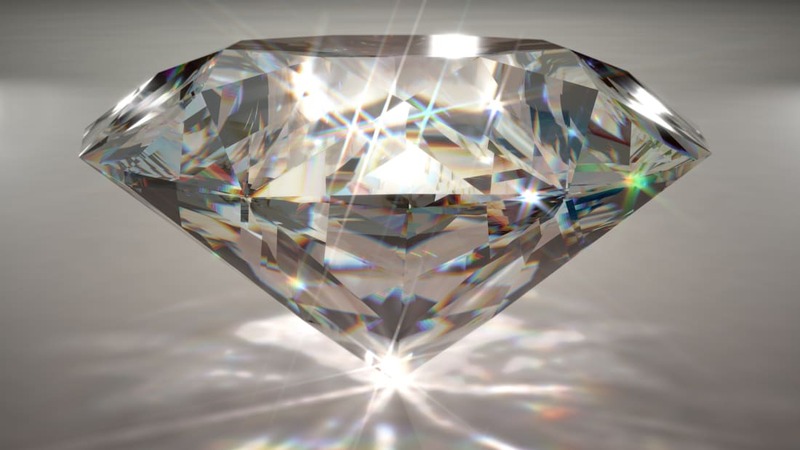 The diamond was so large and clear—roughly the size of a pinto bean—that she assumed it was just a piece of glass. Further inspection by her family and park personnel revealed it was a diamond. Park officials told press that employees frequently till the soil, which can loosen the gems and allow them to catch the reflection of the sun, making them easier to spot. Roughly 33,000 diamonds have been found by visitors since the park opened in 1972. It's hard to know the exact value of the diamond. While there is a certain fluctuating value assigned to a carat, appraisers also look at three other "Cs": clarity, color, and cut. A two-carat diamond is often more than double the price of a one-carat diamond because the larger gems are more rare. But tourists have profited from their finds: In 2015, a visitor retrieved a 8.51-carat white diamond that was cut down to 4.6 carats by a jeweler and valued by the American Gem Society at $500,000.